East Bay Holistic Chiropractor Barbara Turunen on what you eat, drink and breathe — Barbara Turunen, D.C. The food mainstream America is eating today is not conducive to good health. Simply put, you can't trust the government to look out for you and your family's safety. Ask questions and become informed. Your best vote is to vote with your pocket book. Buy locally from farmer's markets or natural grocery stores, grow some of your own food, and read labels on packaged foods and products. Don't overlook the household, garden and personal hygiene products in your home. Just about all advertised brands of these products are made with chemicals which will end up in your body. Replace them with non-toxic alternatives. eats local foods that are in season. Living, Fresh Foods. Eat as many foods as you can in the ripe, unadulterated, natural state. Freshly picked food has an energy field that not only gives you calories, but nourishes your energy field as well. 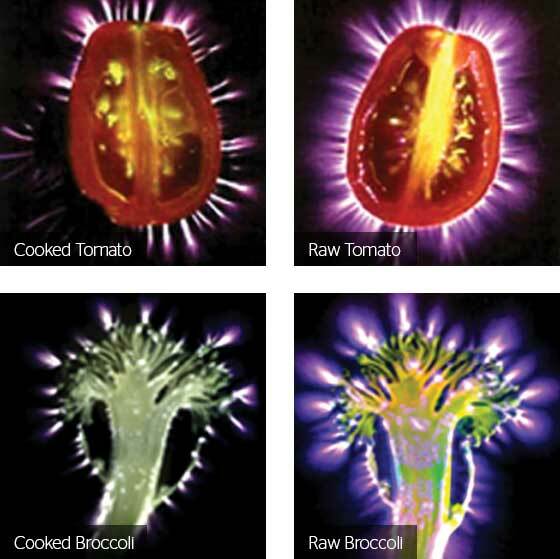 Energy field of cooked vs. raw living food. Eat More Fruit and Vegetables. Follow this simple advice and get increased energy, mental clarity and a decrease in pain, stiffness and allergy symptoms. Then take your health to the next level by eliminating junk food and cutting down on prepared foods. Our bodies are alkaline by nature's design, except for hydrochloric acid in our stomachs. This means we need fruit and vegetables (alkaline ash foods) to maintain a normal pH (acid/base balance). The standard American diet (SAD) is made up of mostly acid ash producing foods -- meat, dairy, starches, and sugar. Acidity contributes to chronic degenerative diseases like heart disease, cancer, osteoporosis, and kidney disease. 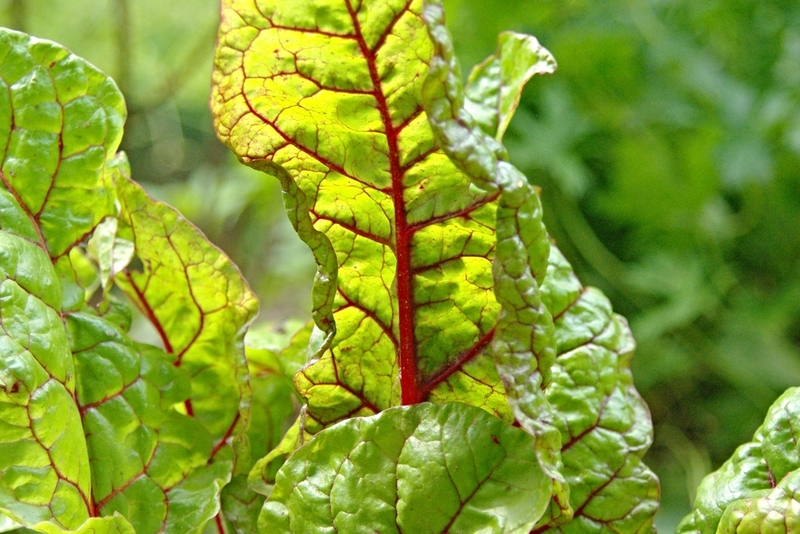 are a good way to get raw living greens into your diet. As you continue to increase the amount of fruit and vegetables in your diet, you will find yourself craving more and more of them. Fresh fruit and vegetables are cleansing and healing so, as you detox from highly addictive processed foods, your body begins to crave what is good for you, rather than what tasted "good" but isn't good for at all. Combine greens with fruit in a good blender to make delicious green smoothies that could literally save your life. Read Why Green Smoothies? to learn more and get smoothie recipe ideas. Organic Foods. Eat organic foods when you can. Daily doses of pesticides, herbicides, fungicides, antibiotics, chemical and raw sewage fertilizers, genetically modified foods, chemical flavor additives, dyes, feces, etc. will eventually create more toxicity than your body can keep up with, resulting in disease, including cancer. Some say they cannot afford organic foods yet others consider organic food to be their preventive medicine. Many people will spend more money in their last two weeks of life trying to stay alive than they did in the rest of their life to stay well and feel good. This doesn't make much sense since it's cheaper, safer and easier to prevent disease than it is to treat it. The more organic farmers are supported with our buying choices, the less organic food will cost as it becomes more dominant in the marketplace. Water. Being adequately hydrated increases mental alertness and can decrease pain symptoms. 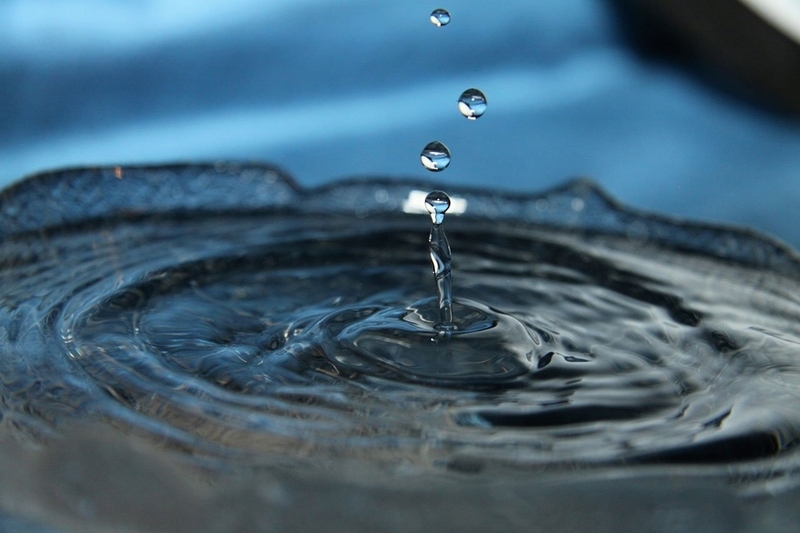 Water makes up 60 to 70 percent of your body. 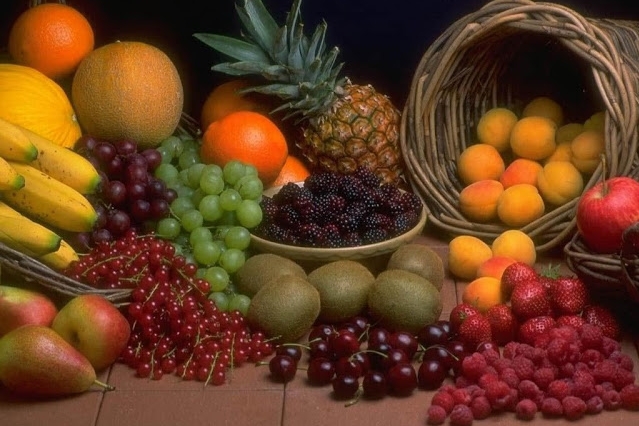 Fruit and vegetables have a high water content. Make a conscious effort to drink several glasses of water a day if you are consuming salty, sugary, and/or processed food and drinks. Minimize or eliminate alcohol, caffeine and sugary drinks. They only add stress to your body by increasing your toxicity levels. The water is bottled in plastic made of petroleum products which leaches toxins into the bottled water. We pay an 1800% markup from the cost of tap water. It is estimated that 25% to 40% of bottled water originates from tap water. Regulations for testing municipal tap water are much more stringent than those for bottled water. The larger the city, the more frequently water is tested. There is one person at the FDA responsible for overseeing the bottled water industry for the entire nation, and monitoring bottled water isn't their only responsibility. You can filter your tap water at the sink or with a whole house water filter to remove chloride, chloramine, sediment, etc. This is a healthier, lower cost option with less plastic bottles ending up in landfills or floating in the ocean. Negative ions by a stream. The toxins you breathe from smoking or other polluted air go directly into your bloodstream, unlike toxins in your food and drink which are filtered by your liver first. Breathe Negative Ions. Ions are charged particles in the air, either charged negatively or positively. Negative ions are oxygen ions with an extra electron attached and are plentiful near water like rivers, oceans and lakes and are beneficial to your health. Get A Breathe of Fresh Air. If you spend most of your time indoors, get outside for your exercise whenever you can. The negative ion-rich air in most natural settings has an anti-depressant effect, making outdoor exercise better for you than a gym. Open windows to get fresh air inside.